Tunglið, meaning the moon in Icelandic, is also the name of a publisher who only prints books in batches of 69 every time there’s a full moon. Although the books are not expensive, nobody is allowed to pre-order or skip the line at events. By the time that the moon wanes, the remaining books bear an ill-foreboding fate, that is, they burn. A full moon is a stage in the lunar phase that occurs when the moon, sun and earth reach alignment. On average, it occurs every 20.53058 days, meaning that Tunglið would publish on a monthly basis. 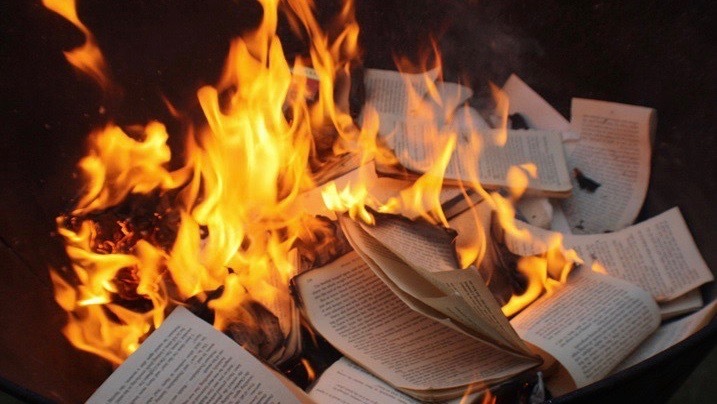 Although owners Hjartarson and Olafsson state that the intentions behind book-burning are not at all related to ancient rituals or political expressions, the local Swiss people in Basel, Switzerland expressed suspicion when they saw Tunglið burning books in their region. What do think? Should they burn the books? Let us know in the comments!